MyFitnessPal has carved a rather large niche for itself in the online health space, and today it announced it has passed the 30-million-users mark as it debuts its first API alongside a slew of partnerships. MyFitnessPal delivers a pretty comprehensive cross-platform tool for managing and monitoring eating habits, offering Web and native apps for the most popular mobile operating systems. 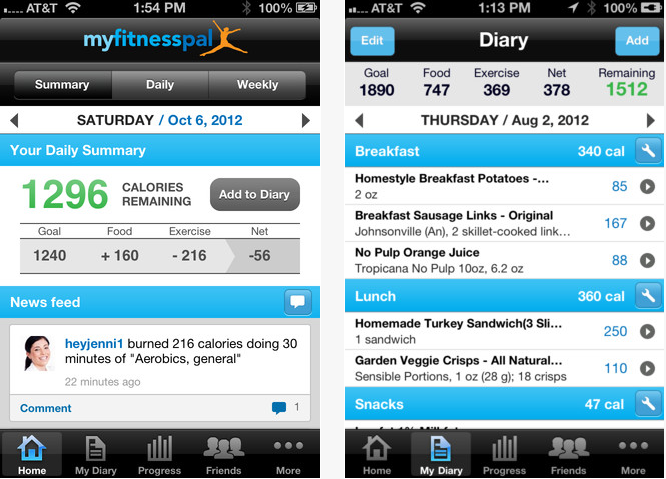 Now, with an impressive 30 million users under its belt, the MyFitnessPal API is launching to feed into a myriad of third-party apps — including Fitbit, Runtastic, Endomondo and Withings — which promises to enable other health-related apps to tap users’ profiles on MyFitnessPal and integrate directly with their food diary and exercise log. With more than 2 million listings, MyFitnessPal claims to have the largest database of nutritional information, including restaurants and food brands. By gathering even more data in one place, MyFitnessPal now offers a pretty complete picture of users overall health. “We believe that by facilitating an ecosystem of the best-in-class brands and resources working together, we can help our users to more successfully accomplish their health goals,” says Mike Lee, co-founder of MyFitnessPal. In terms of its launch partners, BodyMedia is a bit of a pioneer in wearable body monitoring products, while Endomondo is a popular fitness tracking app and social network that turns smartphones into personal trainers. Throw into the equation FINIS Swimsense (interactive watch for swimmers), Fitbit (wireless fitness trackers), Interactive Fitness (stationary bikes), MIO (heart rate monitoring devices), Runtastic (GPS fitness tracking apps), Scosche RHYTHM (arm-strap pulse monitor), Striiv (motivational app that gamifies walking) and Withings (WiFi connected weight scales), then this really gives a broader picture of the potential this API has across the digital fitness spectrum. Developers who wish to integrate with the MyFitnessPal API are asked to send an email with details of their request to: API@myfitnesspal.com. In addition to its online portal, the health startup has native apps for Android, iOS, BlackBerry and Windows Phone. MyFitnessPal is headquartered in San Francisco.